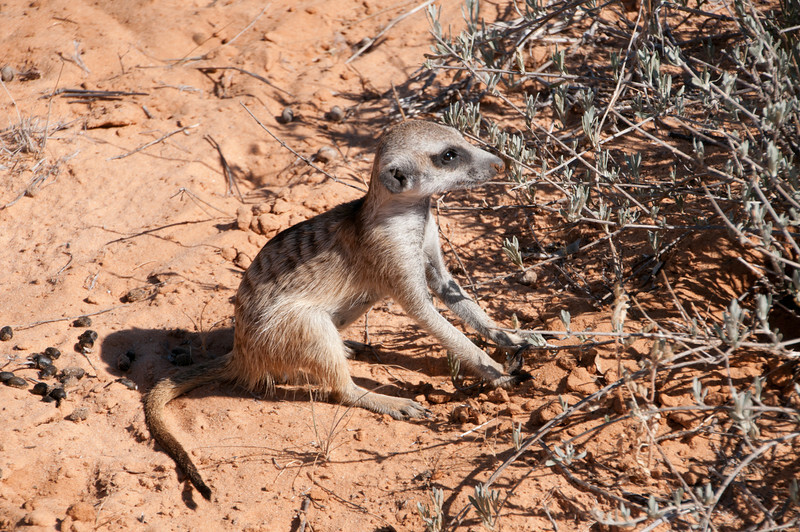 Taken March 2012 at Kalahari Meerkat Project. One of the pups I named in 2010 is in this group...Hercule. He was the runt of the litter and actually bald.